From versatile education programs to medical, mental and treatment intervention programs, ABS works with parents to find the best solution for students of all ages. Applied Behavioral Services is a comprehensive treatment training and educational placement center for children with Autism Spectrum Disorders and other developmental disabilities. We specialize in a range of treatment programs and parent-training consultations designed for both home and center-based learning. Our center provides intensive year-round placements, and is a certified provider for the Ohio Department of Education’s Scholarship Programs. Our specialized staff at is knowledgeable in all areas of Autism in order to ensure a more well-rounded learning and training experience for parent and child alike. Applied Behavioral Services offers a center-based education program that gives parents and students many options for finding their best education. Children and young adults ages 3-22 attend full-time or part-time special education classrooms at our four private facilities in Cincinnati, Dayton, and West Chester, Ohio. 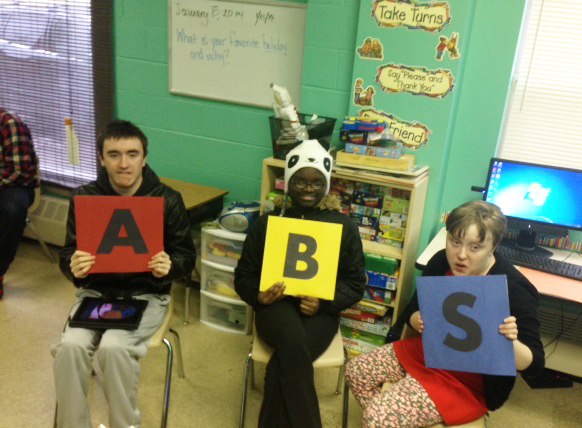 As an approved Autism Scholarship Program (ASP) with the Ohio Department of Education, you can rest assured your child gets the attention and quality education they deserve when you choose ABS. This classroom is designed for learners that require individualized teaching methods and curriculum, are able to independently sit and attend in a small group setting, and are able to follow the classroom routine with minimal guidance. Prerequisite skills for full-day group placement include but are not limited to ability to work and play independently for short periods of time, ability to follow basic classroom instructions, and ability to imitate others and attend to the teacher. This classroom is designed for learners that require individualized teaching methods and curriculum, require consistent practice to learn new skills, may have behaviors of concern that need addressed, and need assistance to follow the classroom routine and adult directions. The full-year, half-day placement school schedule is Monday-Friday 8:00am-11:00pm OR 12:00pm-3:00pm. In addition to our classrooms, we are able to help children with specialized, one­on-one treatment services. Many people call this ABA Therapy, or Applied Behavior Analysis therapy. The treatment services are better described as behavior therapy where the behavior technician is specifically trained to apply the principles and procedures of ABA to improve behavior by teaching new skills, changing difficult behaviors, and increasing areas of strength. Research has shown children with autism may make significant and faster gains when receiving one-on-one (1:1) treatment from 25-40 hours per week. These services are typically paid for by private insurance, private pay and/ or school contracts. one’s emotions, and how to self-monitor. These services are sometimes paid for by private insurance, Tri care, Medicaid, and private pay. For individuals with Medicaid benefits, ABS West Chester is able to provide a specific support and treatment service called CPST. This stands for Community Psychiatric Support and Treatment. CPST is a service only available in Ohio and is part of our state Medicaid services under the Ohio Department of Mental Health. It consists of various activities for your child to participate in with a qualified mental health specialist. This typically includes activities that increase one’s independence in daily living activities, help a person meet their basic needs through communication training, provide training for parents and caregivers on the specific needs of their child, and offer other mental health treatments and strategies to improve functioning and behavior. This service is only available to individuals that meet medical necessity and have access to Medicaid insurance benefits. The ABS Speech Therapy Program provides speech therapy for all ages, included with tuition in a 1:1 setting or a small group, depending on the placement and needs of the individual.